Joe, really appreciate you putting together the template. We wrote you asking questions reflecting on this topic, and the importance of having a firm grasp on financial projections – especially after reading your previous article “61 Brewers Speak Out” where numerous individuals said they underestimated their investment capital before getting started and how that held them back. Thoughts for the future to incorporate; estimating the number of fermentation tanks, brite tanks, kegs needed on-hand, economic order quantities for cans/bottles (large quantity buys which tie up capital, or smaller quantities to keep cash-on-hand), same probably goes for ordering ingredients. From your spreadsheet these would fall under Line Item 3. Many of these topics will be a function of brewing capacity and output sales. As Engineers we always look to solve the mathematical problem, right! There’s so much that goes into running an efficient business. We are going to take your advise of approaching local businesses (bars, brew pubs, production breweries) and making sure to ask the thought provoking questions that will drive them to want to help answer them and help others. We just also wanted to throw out some more of these financial considerations for potential podcast discussions? Appreciate the knowledge movement you have started! I appreciate the feedback Andrew! I’ll definitely take the things that you talked about into account for future podcasts or articles since they are all topics that need to be considered in the process. You’re right that most of the items would fall under question three which is the initial investment that you’d need to make to start up the brewery. As I’m putting together more content in the future, I’ll get in contact with you to see what you think! 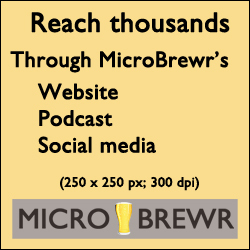 Would you be willing to put together a brewpub sheet? Robert, what info are you looking for? As a beer brewery equipment manufacturer in China, there are several points we need to check with our customer before preparing a detailed quotation. 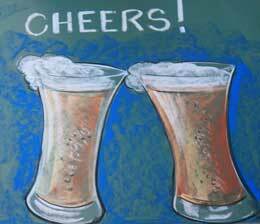 1st, What is the expected monthly or annual beer production, as different beer production need different numbers of fermenters. it would helped a lot for us to work out suitable solution with knowing customers’ expected output; 2nd, Do you plan to brew 1 or 2 batches per day. It seems it is not important point, but actually it is. A single batch fermenter generally being used for brewing one batch per day, and double batch fermenters being used for brewing two batches per day. You may know that the cost of one double batch fermenter is lower than two pieces of single batch fermenters; 3rd, How much grain you plan to use per batch or what is the ratio of your mater to water? Absolutely there are some brewmasters prefer to brew beer with much higher plato without help of sugar. If too much grain used, we need to calculate the thickness of the grain bed, and confirm what diameter of the lauter tun should be the best. I’ve been running numbers for my project and even shared this with friends who are interested in starting their own project. I’ve spent hours crunching different sets of numbers based on different variations of my business model. I’ve noticed that line 12 for additional cost didn’t change anything in my projected finances. Is it possible the cell is broken? Also… I tried adjusting line 4 to “cost per case” and then setting case size to 12 bottles and it messed up the projections again (Entered single bottles as $10 and then cases at $120 and it made my profit projections go from positive to negative). Let me know if you have any updates or have fixed any bugs. Thanks. I’m glad you’re finding use from the this spreadsheet. 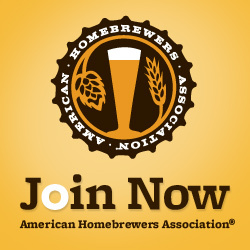 MicroBrewr founder Joe Shelerud created this in 2014. Honestly, I don’t know exactly what he was doing, but I looked a little into it. It looks like, when you get down to the “Income Statement for the Brewery,” all of the figures are shown per year. Note the dropdown menus next to your data entry points in red. You can select “$ Per Month” or “$ Per Year” for your rent and for your salaries. The dropdown options pull data from other cells to make calculations. So you can use only those built-in options. The spreadsheet has many hidden columns with additional calculations. There, you can find a breakdown of rent per BBL or salaries per BBL. Regardless of whether you select per month or per year from the dropdown menus, the Income Statement still displays per year. Another note on salaries: You might want to show this number as a reflection of total expenses for staff, including your overhead. The dependent cells are in the hidden columns between Column T and Column BS. Select Column T and Column BS. Then go to the Home Ribbon > Cells Tab > Format > Unhide Column. MicroBrewr Founder Joe Shelerud created this spreadsheet, I think not meant to base your business plan off of, but to give a general idea, perhaps as an initial quick check. This is furthest I’ve looked into it. I’ve never dug into the formulas. If anything stands out to you, let me know. Thanks!